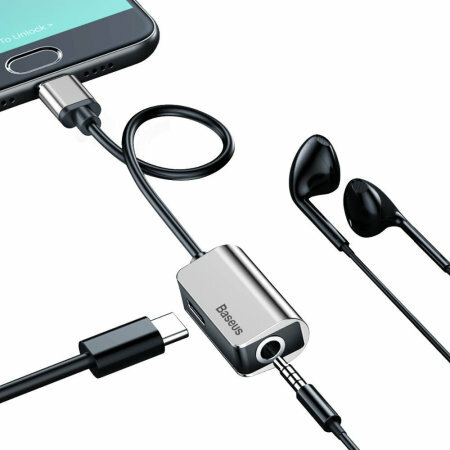 This USB-C adapter in silver from Baseus makes it possible to listen to music using your 3.5mm headphones while charging your phone simultaneously. The down side to not having a headphone socket on the latest smartphones is that you can no longer charge or listen to music at the same time. Well, now you can. 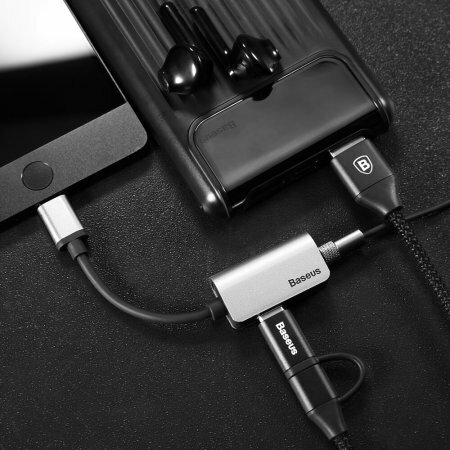 This adapter from Baseus allows you to connect your 3.5mm headphones and a USB-C cable at the same time, meaning you can listen to music via the 3.5mm audio socket, whilst letting your phone charge. Don't be concerned that this is a compromise option in terms of charging power. 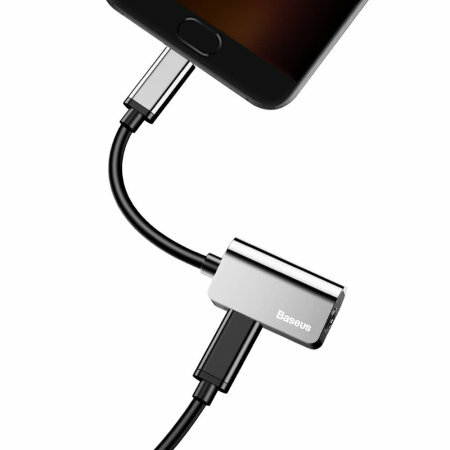 This cable allows pass-through charging that is no different to charging directly with your USB-C cable. 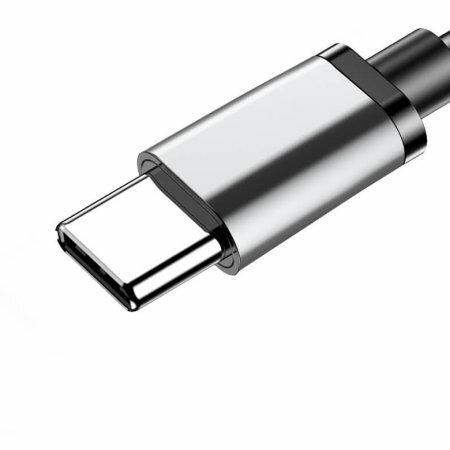 Featuring an intelligent decoding chip, this USB-C Baseus adapter produces high-fidelity audio allowing you to enjoy your music, without any loss in quality. 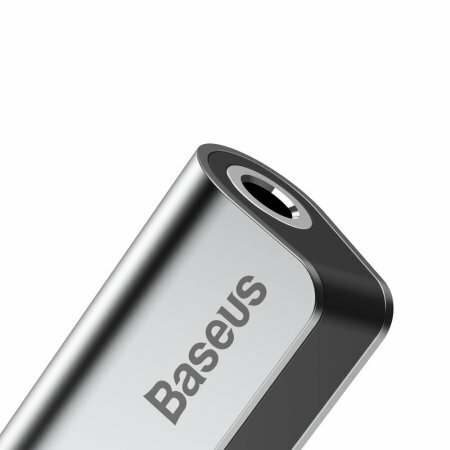 This Baseus USB-C to USB-C & 3.5mm audio adapter is really compact and lightweight - you will barely notice it being there! 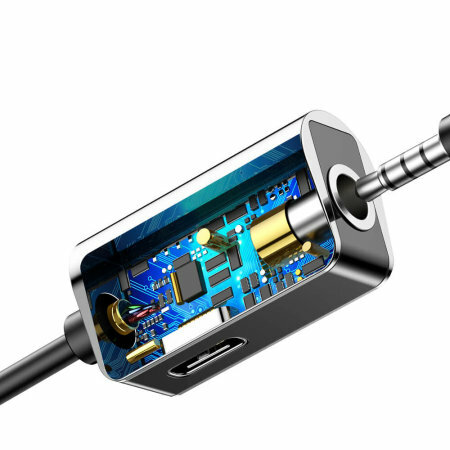 With a length of 12cm and weighing only 11 grams, you can still take it with you to the gym or on a trip. 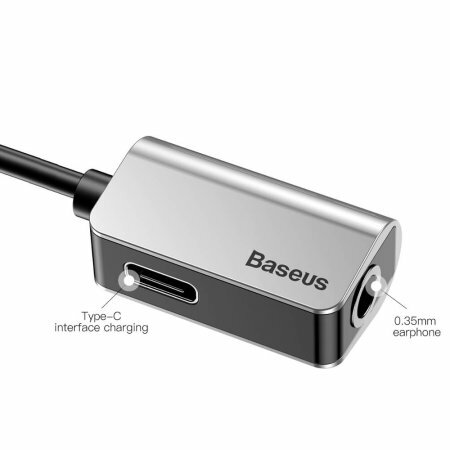 This adapter from Baseus has been designed to be used with USB-C smartphones and is compatible with the latest devices such as the Huawei Mate 20 Pro, Samsung Galaxy Note 9 and the latest iPad Pro's.